2-28 Peace Memorial Park is a small but charming park just a short walk or one MRT stop from Taipei Main Station. 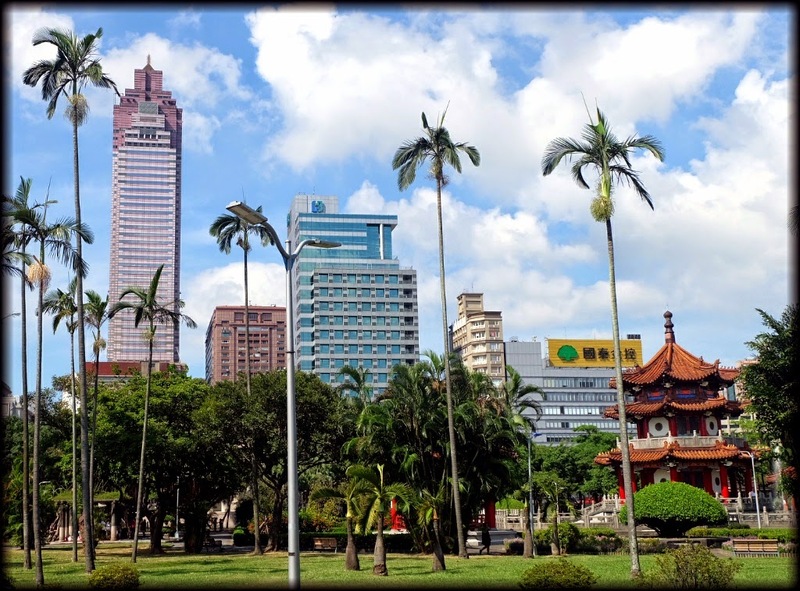 It has a long history, being established in 1908 as the first European-style park in central Taipei, and it's home to two of Taiwan's most important museums: 2-28 Memorial Museum and the National Taiwan Museum. While it's enjoyed by individuals, couples and families, who all come to enjoy a green space among Taipei's concrete, it maintains a somewhat sombre feel, being a memorial to a massacre still raw in the memories of the nation two generations later. A visit to this park and the 2-28 Memorial Museum should be included in any visitor's itinerary, ideally with a visit to the National Taiwan Museum. Take the MRT to NTU Hospital Station, one stop south of Taipei Main Station. Exit 1 opens up right into the park. The 2-28 Massacre was a defining moment in Taiwan's modern history. Following the defeat of the Japanese, the Republic of China, ruled by the Kumintang (Chinese Nationalist Party) under Chiang Kai Shek, were given temporary control of Taiwan (despite having never ruled it before) to appease Chiang, because he was fighting communists and because the Allies didn't want Japan to have such strategically placed island between Japan, China and the Philippines. While the Taiwanese (then known as Formosans) considered themselves closer to China than to Japan and were happy to join the democratic China they had been promised by the Americans, they had also become used to a higher standard of living under the Japanese, a strong economy, law and order and clean, efficient government. When the Kuomintang reached Taiwan the first thing they did was pillage homes and factories for steel and other valuables, desperately needed for their civil war in China. Even valuable mining equipment, previously powering Taiwan's economy (which they didn't know how to use) was melted down and sent to China to be made into guns. The Chinese also assumed virtually all positions of authority vacated by the Japanese, despite having no knowledge of the island's culture or infrastructure. (Originally, some Japanese were going to stay in Taiwan, their lifelong home, as "advisers", but upon witnessing the Chinese takeover, most decided that a return to war-torn Japan, burned to the ground, offered better prospects). The corruption and poor governance of the Kuomintang set the economy back decades, inflation soured and by 1947 the price of rice reached 400 times its price before the end of World War II, largely due to its export to China. Diseases of poverty long eradicated by the Japanese returned, and Taiwanese quickly grew dissatisfied with their new rulers, appealing unsuccessfully to the Americans many times for help. The Japanese had tolerated a 'home rule movement' (calling for further advancement of Taiwanese culture and identity, and semi-autonomy within the Japanese empire) and this quickly revitalized itself into calls for cleaner government with more Taiwanese participation, or, if a democratic China wasn't going to happen, an independent, democratic Taiwan. Tensions built up and reached breaking point by 1947. Angry protest outside Tobacco Monopoly Bureau, Feb 28, 1947. Public domain image from Wikimedia Commons. The Kuomintang maintained a government monopoly on cigarettes and most other commodities, and their mismanagement and export of many to China put life-long Taiwanese vendors out of work. On th evening of February 27, 1947, inspectors from the Monopoly Bureau confronted a 40 year old widow selling contraband cigarettes, confiscated her livelihood and hit her over the head with a pistol. Crowds nearby defended her, confrontation broke out and as they fled an inspector fired a gun, killing an innocent bystander and wounding others. Word spread, and soon angry crowds were surrounding the Monopoly Bureau and other government departments, demanding justice for the incident and an end to the government monopolies, as well as cleaner government with more Taiwanese participation. 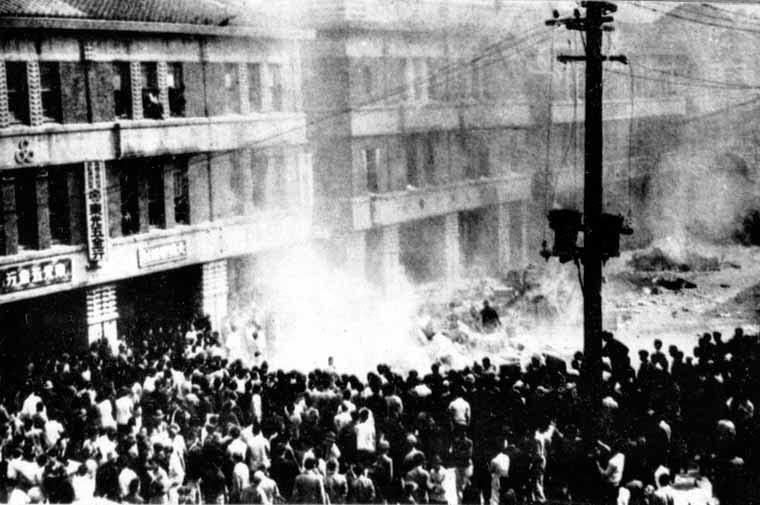 Soldiers fired on a crowd of protesters outside the Governer General's office, further incensing the Taiwanese, and martial law was declared, with anyone breaching strict curfews arrested or shot. For the next few days Taiwanese citizens took hold of most government institutions and ran most of Taiwan, while the Kuomintang fled or stayed under cover for fear of their safety (though there was very little serious violence towards them, all considering). In response Chiang Kai Shek sent thousands of troops to Keelung (Taipei's port) and they drove through much of Northern Taiwan to Taichung, through the night, firing indiscriminately at anyone and everything, in the hope of terrorising the Taiwanese into submission. Foreign residents frightened of the bullets took shelter in the American Embassy, which had a high wall. For three days the Chinese soldiers roamed the streets, entering and looting homes at random, usually killing everyone inside. Rapes, mutilations and be-headings were common, and streets became littered with dead bodies. 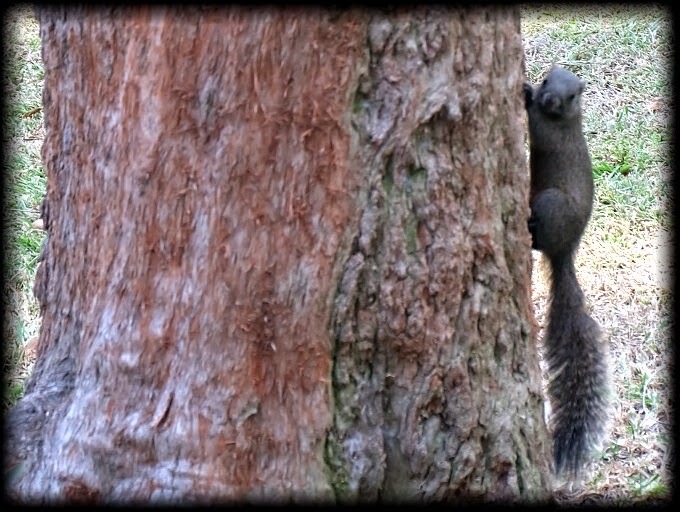 Meet one of Taiwan't largest and friendliest squirrel populations. Martial law was declared, and was held for a generation, finally being lifted by Chiang Ching Kuo (Chiang's son who took over from him as president) in 1987. During this 'white terror' era thousands of Taiwanese dissidents were killed, often brutally, and about 140 000 were imprisoned, including many of today's prominent politicians (from the Democratic Progressive Party). Justice has never been served on the perpetrators of the regime. Talk of the massacre was strictly prohibited until the 1990s, when President Lee Tung Hui became the first president to openly discuss it and declared a national holiday to remember the tragedy. While it's now an historical event for most Taiwanese, many elderly have bitter memories of the event, and resentment runs deep through Taiwanese society, especially those who've never found out what happened to their murdered family members, or much less seen any justice. In the late 1980s President Lee Tung-Hui, Taiwan's first Taiwanese and first elected president, began openly discussing the 2-28 Massacre, lifting censorship on the event for the first time in a generation. In 1991 a competition was held for designs for a memorial for the Massacre in what would, in 1998, become 2-28 Peace Park. The winning design, selected from 270 entries, went to Cheng Tsu-tsai (鄭自才), who drew up his plan from prison, where he was serving time over an assassination attempt on Chiang Ching-Kuo in the US in the 1970s (for which he'd already served time in the US). He's since renounced violence, but still supports victims of the massacre, and campaigns for justice. The 2-28 Memorial Museum is in every way the polar opposite of Chiang Kai Shek Memorial Hall. While CKS Hall is a grandiose landmark and the focus of the giant Liberty Square, the 2-28 Memorial Museum is almost hidden in its own park, and housed in a humble, century-old building. While history at CKS hall is spelled out in timelines (supported only by vaguely related photographs), at 2-28 Memorial Museum few exhibets have English explanations, but the photographs and archived video footage (much of which has English subtitles) speak for themselves. AV sets are also available with English explanations for anyone that wants them. Exhibits cover the rise of the Taiwanese identity and the union movement under the Japanese, the post-WW2 takeover of Taiwan by the Koumintang and the events that led to the 2-28 incident, as well of course as the massacre and its aftermath. 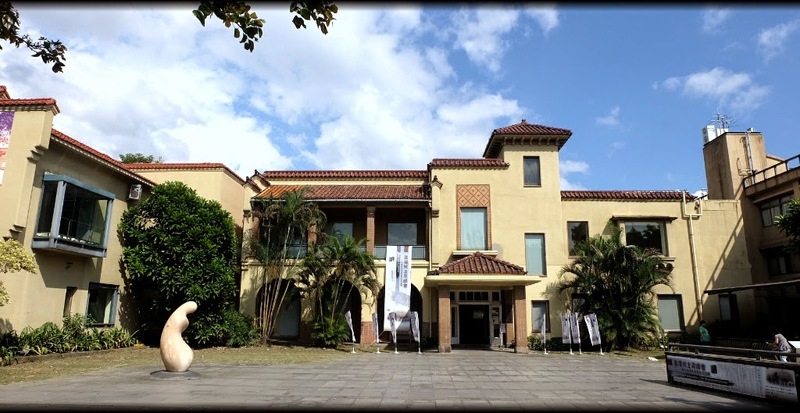 The museum is located in the broadcasting station from which the surrender of Japan was broadcast, and from which the Kuomintang tried desperately and unsuccessfully to quell the rising masses during the 2-28 incident. It also includes some old radio valves and other equipment. For more background on this important period of Taiwan's history, I recommend reading Formosa Betrayed, by George Kerr, an American Diplomatic Officer and and expert on Japan and Taiwan, who witnessed the transition from Japanese to Chinese rule. It can be downloaded free (legally) here thanks to the Taipei Publishing Co. The National Taiwan Museum is Taiwan's oldest museum, established in 1908 as Kodama Goto Memorial Hall in what was then Taihoku Park (臺北公園). 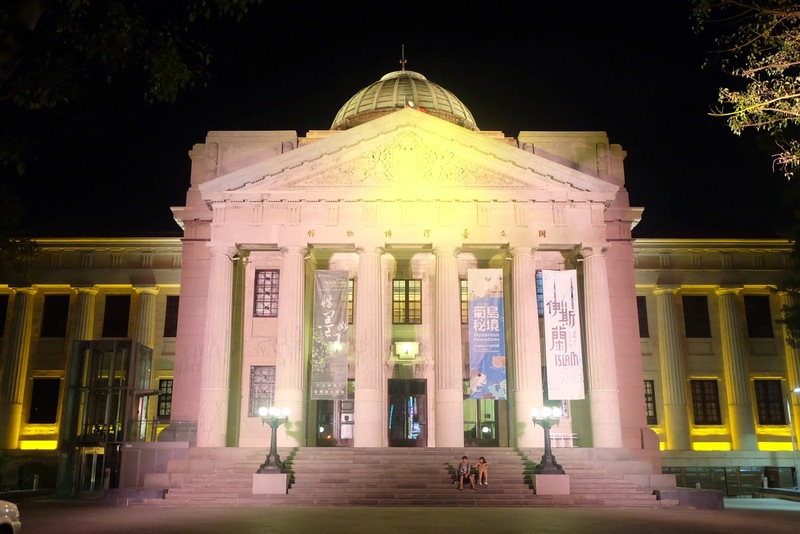 In stark contrast to the National Palace Museum, which holds possessions from China (well worth a visit for different reasons), the National Taiwan Museum's exhibits all relate to Taiwan, much like any other country's national museum. It's located right inside 2-28 Peace Park, and the entrance fee is only 30NT, so it's well worth at last a quick stop for a whirlwind tour of Taiwan's people, culture, history, flora and fauna, all in this grand old colonial-era building. For more information see my main page on National Taiwan Museum. I recommend Rice Revolution (呷米共食廚房), a charming, healthy, vegetarian restaurant just a few minutes walk from the 2-28 Peace Memorial Park. Fresh and delicious set meals cost around NT200.